In this study, inactivations of some fungal and bacterial species by Ultraviolet (UV) light were studied under different time and different surface conditions. We also aimed to determine surface-time relation in the inactivation of tested microorganisms. The fungi/-bactericidal and-static effect of UV light at different wavelengths was tested at different time periods of 1-75 min as well as on different surfaces such as microscope slide, aluminum foil, coin and solid medium. The distance between the UV light and the sample was 30 cm. It is the distance widely used in dental and cosmetic fields in commercial available boxes for sterilization of the tools (e.g., scissors, forceps, spatula etc.). It is found that exposure to UV light (254 nm) for 45 min was enough for inactivation of yeast like fungi and bacteria. Under the same conditions, fungicidal effects against molds were observed in 75 min in all surfaces except for the medium surface. In conclusion, different surface conditions and exposure time are important in UV light sterilization of microorganisms. The inactivation of microorganisms by Ultraviolet (UV) light has been known for a long time and is used in many applications (Qualls and Johnson, 1983; Zemke et al., 1990; Rames et al., 1997; Warriner et al., 2000; Lin and Blatchley, 2001; Favier et al., 2001). It is known that sterilization efficiency of UV systems depends on different parameters like wavelengths range and microbial concentration (Wallbank et al., 2001; Bourrouet et al., 2001). A wavelength ranging between 200 and 300 nm that corresponds to peak absorption of DNA is effective and the absorption of UV light by the DNA molecule causes death of microorganisms (Ishida et al., 1991). This is important for sterilization. All cells (both eukaryotic and prokaryotic) can repair their DNA defects. Photoreactivation induction by 350-600 nm lights is involved these repair mechanisms (Favier et al., 2001; Schoenen and Kolch, 1992). Insufficient sterilization results in microbiostatic effect. Contact-exposure to insufficiently sterilized materials used in dentistry, laboratory or cosmetics may cause serious health problems. Therefore, it is important to know effectiveness of different sterilization methods as well as optimum duration required for sterilization. For this reason diverse modalities of surfaces have been chosen. Dermatophyta may be contaminous for lots of materials used in cosmetics. Also, bacteria such as S. aureus and P. aeruginosa cause wound infections and they are pathogenic when mucous membranes and skin are disrupted by direct tissue damage. They may also lead to cosmetic contamination. Insufficient sterilization of materials in laboratory conditions can also cause contamination problems. In addition to that, fungi and bacteria may be responsible for declay of teeth. These indicate that microbial inactivation is also critical in terms of public health in addition to being a medical problem especially in immunocompromised patients. This study was performed in order to assess effects of UV light on sterilization as a function of time and surface properties. The yeast like fungi; Candida albicans ATCC 10231, Candida krusei ATCC 14243, Candida parapsilosis ATCC 22019, Candida tropicalis ATCC 13803, Candida glabrata ATCC 66032 and bacteria; Staphylococcus aureus ATCC 25923, Streptococcus mutans LT11, Enterococcus faecalis ATCC 29212, Bacillus subtilis ATCC 6633, Escherichia coli ATCC 35218, Pseudomonas aeruginosa ATCC 10145, Proteus mirabilis ATCC 7002 were obtained from. Karadeniz Technical University, Faculty of Medicine Department of Microbiology and Clinical Microbiology. Isolated strains from filamentous fungi, of molds; Aspergillus niger, Aspergillus fumigatus and of dermatophytes; Microsporum canis, Epidermophyton floccosum, Trichophyton rubrum were obtained from Gazi University Faculty of Medicine Department of Microbiology and Clinical Microbiology. Preparations of inoculum suspension for fungi were based mainly on the Clinical and Laboratory Standards Institute (CLSI; formerly NCCLS M38-P, 1998) guidelines. Stock inoculum suspensions of the fungi were prepared from 7-15 day cultures grown at 28°C on Potato Dextrose Agar (PDA; Difco). Mature colonies were covered with approximately 10 mL of sterile saline scraping the surface with the tip of a Pasteur pipette. The resulting mixture of conidia and hyphal fragments were withdrawn and transferred to sterile tubes. Heavy particles were allowed to settle for 15-20 min at room temperature and the upper suspension was mixed with vortex mixture for 15 sec. The turbidity of the supernatants was read and adjusted to an Optical Density (OD) that all range from 0.09 to 0.11 (80 to 82% transmittance). All yeast like fungi were cultured on Sabouraud Dextrose Agar (SDA; Oxoid) and passaged at least twice to ensure purity and viability. Candida strains were grown at 35°C overnight while isolated strains were grown at 35°C for one week. Then culture suspensions were prepared through the guidelines of NCCLS (M27-A, 1996) in Sabouraud Liquid Medium (SLM; Oxoid). After this time all cultures are in the exponential growth phase and yield the number of cells required for the experiments. Subsequently, fungal suspensions were prepared according to McFarland 2 density (6x106 cfu mL-1) in SLM. Mueller Hinton Broth (MHB; Merck) and Mueller Hinton Agar (MHA; Merck) were used for S. aureus, B. subtilis, E. coli, P. aeruginosa and P. mirabilis. Todd Hewitt Broth (THB; LabM) was used for S. mutans and E. faecalis. THB supplemented with agar (Merck, agar-agar ultrapure) and 5% sheep blood was used also for S. mutans and E. faecalis as solid medium, Todd Hewitt Agar (THA). Bacterial suspensions were prepared according to McFarland 2 (6x108 cells/mL) density for the experiments (Baran et al., 1994). The source of UV radiation was fluorescent lights (Philips, 20W/C) with an emission spectrum of 250-370 nm and a peak at 254 nm. The source of the other UV radiation was a black fluorescent lamp (Osram-L, L20W/73IMP) with an emission spectrum of 300-400 nm and a peak at 354 nm (Fig. 1). All measurements at 254 nm and 354 nm were done by Digikrom-480 monochromator (focus; 0.5) plus Si photodiode detector-AD130 (180-680 nm) made by CVI Corporation. 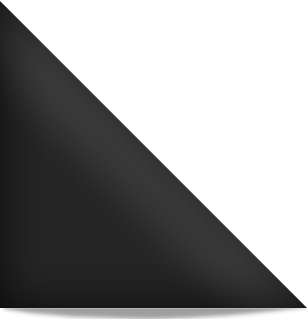 The energy of the ray that affects a unique area is calculated as microwatts (μW). We have also used 20 W but 30 cm (R2) and 30.400 μW-min cm-2 (30.4 mW-min cm-2) while determining UV effect. As source of UV light; 30.4 mW cm-2, 254 nm (Philips, 20 W/4C), 354 nm (Osram-L, L20W/ 73IMP) and as different surfaces; sterile aluminum foil, coin (coin consisted of 69.5% Cu, 18% Zn, 0.5% Mn, 12% Ni), microscope slides and solid medium were used in this study. Solid media were MHA for bacteria, SDA for fungi and THA for streptococci according to the needs of the microorganisms. In order to sterilize the aluminum foil, coin and microscope slide surfaces, they were placed in a Pasteur oven at 180°C for 60 min in a glass package. The distances between lamp and applied surfaces were 30 cm in all tests. Twenty microliter of the culture suspension were plated on the sample surfaces of microscope slide, aluminum foil, coin and solid medium. Spreading area of the suspensions of microorganisms tested was approximately 0.5 mm. Then samples were exposed to UV light for 1, 5, 10, 20, 30, 45 and 75 min. After UV exposure, for the tested time periods; aluminum foil, coin and microscope slides were placed in SLM, MHA and THA. All were incubated at 37°C until microbial growth was seen in positive control mediums. After incubation, it was researched whether there is growth or not macroscopically in liquid mediums. In case of no turbidity an aliquot of each sample was tested to determine whether the effect is microbicidal or microbiostatic. For this purpose all of the liquid mediums, which contain the surfaces, were plated (20 μL) onto SDA, MHA and THA. Then all of them were incubated at 37°C for overnight for further cultivation. Microbiostatic effect was noted when growth was not observed in liquid medium macroscopically but growth was seen on agar plaques. The effect was mentioned as microbicidal when there was no growth on both the liquid and solid mediums. On the other hand; when observing the survival, this effect is mentioned as micro-biostatic, however if the microorganisms do not grow on the media it is determined as micro-biocide effect. Microbial growth was tested for each bacteria and fungi in two duplicates (n = 4). Also, surfaces contaminated with microorganism but not exposed to UV light were used as positive controls and non-contaminated surfaces were used as negative controls. Negative controls were followed up for 24 and 48 h and demonstrated the efficiency of previous sterilization. The results were statistically analyzed using the computer program, SPSS (Statistical Package for Social Sciences) 10.0 and One-Way ANOVA test was performed. Data concerning the effectiveness of the UV wavelengths (254 and 354 nm) on microorganisms on different surfaces are shown in Table 1-3. All positive controls showed positive results and negative controls demonstrated the efficiency of sterilization. After the examination, it was determined that 254 nm was the most effective wavelength for sterilization in all time periods tested. Fungicidal effect was established for all yeast-like strains except C. glabrata, after 20 min of exposure to 25 4nm UV light to the microscope slide and coin surfaces. For all yeast-like fungi, fungicidal effect was seen after 30 min of exposure (Table 1). The same effect was seen for T. rubrum and M. canis after 75 min for all tested surfaces. The fungicidal effect was shown in E. floccosum after 75 min for all tested surfaces except coin surface. The same effect was also seen for the same time period for Aspergillus spp. except for microscope slide and medium surfaces (Table 2). Table 3 shows that fungicidal effect was not determined before 20 min for C. albicans, C. glabrata, C. parapsilosis and C. tropicalis for all surfaces. For C. krusei fungicidal effect was not seen on microscope slide and medium surfaces. Fungustatical effect for C. krusei was established on coin surface after 75 min. Also, at this wavelength fungicidal effect was not seen for A. niger, A. fumigatus and E. floccosum strains. For M. canis after 75 min fungicidal effect was determined only on aluminum foil surface. After exposure to UV 254 nm, no bactericidal effect was determined after 1 min of exposure for all bacteria. However bactericidal effect was established on all surfaces except Medium (MHA) after 45 min of exposure (Table 1). At 354 nm, there was not bactericidal effect for exposure times from 1 to 30 min. In this wavelength, no bactericidal effect was seen after 45 min of exposure for all strains except on the coin surface (Table 3). Different than 254 nm, after 354 nm exposure, fungicidal effect was not determined for the tested yeast like fungi even after the longest time period on medium surface. 354 nm UV light had clearly lower influence than 254 nm and did not show a detectable effect on filamentous fungi. These results suggest that fungi are more sensitive to 254 nm UV light than 354 nm UV light even though 354 nm light was applied for longer time periods. Due to the destroying effect and different efficiencies of disinfectants on materials, UV light is preferred for sterilization in different fields especially in laboratories, dental medicine and cosmetics. Time and surface properties appear to be important in UV sterilization. In addition to that, wavelength of the UV light and the distance between the lamp and material are associated with fungustatical and fungicidal effects of the UV light. Disinfection process efficiency is usually measured and reported according to microorganisms declay ratio (Favier et al., 2001; Wallbank et al., 2001; Bourrouet et al., 2001; Ishida et al., 1991; Schoenen et al., 1992). However, Lin et al. (2001) studied the implication of the results in terms of treatment efficiency and system design. Qualls and Johnson (1983) reported that there were several problems with the methods of UV dose estimation used for disinfection of water. Wright et al. (2000) searched efficiency of the UV light in the reduction of E. coli in apple cider. They reported that background microbial population in liquids along with particles and organic matter has been associated with low transmissivity of UV light. Hence, health risk cannot be disregarded in case of insufficient sterilization, which is associated with the exposure of light to the material. In this study, cultures of fungal and bacterial suspensions were used. The fungi/-bactericidal and-static inactivation was assessed applying UV light in different wavelengths. Bourrouet et al. (2001) reported that disinfection efficiency of UV depends on UV doses and microbial concentration. Therefore contaminated surface properties such as roughness, reflectivity or smoothness may play a role in disinfection. Schoenen and Kolch (1992), also reported that inactivation of microorganisms depends on the wavelength and intensity of the inducing light as well as other physical and chemical parameters such as temperature and nutrient availability conditions for the bacteria. In this study, the tested fungi and bacteria showed different sterilization features as a function of wavelength and application time of the UV light and surface properties. According to the macroscopic investigation performed after different incubation periods, it was determined that UV light at different wavelengths were not effective against isolated strains in spite of changing the exposure time to the UV light. If a microorganism encouraged with some chemical or physical substances, a definite result that the microorganism survive or not cannot be given except further investigations. Therefore the test organisms were further transferred in special media to detect the survival. In case of observing the survival, this effect is mentioned as microbiostatic, however if the microorganisms do not grow on the media it is determined as microbiocidal effect. For this reason, the fungi/bactericidal and-static effects were also further studied with special media of the microorganisms. Levetidin et al. (2001), studied air-handling units in buildings and could not show all fungi susceptible to the UV light. As reported by Ishida et al. (1991) C. albicans has been the most resistant fungi to UV light. Therefore C. albicans and the other Candida were used in this study. All of the tested fungi were exposed to 254 nm UV light for 1 and 5 min and no fungicidal effect was determined (Table 1). Fungustatical effect was determined for C. albicans after 10 min of exposure on all tested surfaces. However, fungicidal effect was established on all surfaces with yeast like fungi except SDA after 45 min of exposure (Table 1). The macroscopic investigation performed after different incubation periods revealed that 254 nm UV light was the most effective wavelength in all time periods tested. This suggested that UV exposure for 45 min is enough to inactivate yeast like fungi in this test condition. A statistically significant difference was found between Candida strains on different surfaces (p<0.05). Inactivation of C. krusei and C. tropicalis after 20 min of exposure on all surfaces except for the nutrient surface and inactivation of C. albicans in shorter time periods on all surfaces were associated with the thought that inactivation is related with the species of the strain. Microscope slide and coin surfaces were determined as the surfaces which needed maximum time for inactivation of yeast-like fungi at 254 nm. Fungicidal effect was also seen at the maximum time for these strains. For the inactivation of bacteria at 254 nm, microscope slide, coin and aluminum foil surfaces needed the increasing time of exposure, respectively. Also the nutrient composition of the surface should not be disregarded in this case. And it is recommended in this study that the surface should be exposed to UV light more than 45 min in case of organic contamination with microbial contamination. Among bacteria E. faecalis, S. mutans, E. coli strains were more resistant on microscope slide. These three bacteria were inhibited after 10 min on aluminum foil surface and this is statistically significant (p<0.001). It was interpreted that because of the physical qualification of microscope slide, applied liquid showed no spread property and therefore the contact of UV light became limited. Likewise, the difference in the inactivation of fungi and bacteria on rough surface on coin, confirms the association of the applied surface with the UV light. Also, these results show that the metal ions of the coin did not affect sterilization of the microorganism in tested conditions. Warriner et al. (2000) reported that no survivors of inoculated B. subtilis spores could be detected on aluminum cartons, which were different than in polyethylene cartons. In this study, inactivation of fungi and bacteria on aluminum foil surface was established shorter time after exposure. This was attributed to the surface property so the as the liquid spread aluminum reflected the UV light. For the tested Gram positive bacteria it is enough to expose these surfaces for 45 min to UV for inactivation, however for Gram negative bacteria it required 60 min to inhibit all strains of bacteria in tested conditions whatever the surface is. A statistically significant difference was found on aluminum foil surface between bacterial strains (p<0.05). Regardless of Gram positive and Gram negative bacteria in tested surfaces the suggestion is to expose the materials at least for 60 min. Using 254 nm UV light against molds (Aspergillus niger, Aspergillus fumigatus, Microsporum canis, Epidermophyton floccosum, Trichophyton rubrum), fungicidal effect was seen after 75 min on all surfaces except medium surface. A statistically significant difference was found on microscope slides surfaces between these fungi (p<0.05). Aspergillus spp. are important in skin and nail infections and burns. It was determined that especially A. fumigatus was more resistant to UV sterilization than the other molds. Dermatophyta are a group of molds that cause infection in nail, skin and hair. Indeed, insufficient sterilization of materials used for hand, foot and hair make up may cause acute or chronic infections. For E. floccosum, which is infectious in skin and hair, fungustatical effect appeared 45 min after the exposure however fungicidal effect appeared after 75 min. For M. canis, which is also important in skin and hair infections, fungicidal effect was determined in all surfaces except coin surface with the maximum time of exposure. On coin surface this effect was obtained after 45 min. For T. rubrum, infectious in hair and nails, 45 min of exposure was not enough for sterilization and exposing the UV light for 75 min and more is recommended. However, at 354 nm, for isolated molds, even after 75 min inactivation was not established in these study conditions. Despite the maximum time of exposure, insufficient sterilization on nutrient surfaces indicates inadequacy of the UV light at 354 nm wavelength. Thus, surface qualification, such as smooth or rough surfaces, should be taking into consideration. Statistically significant difference was found between the strains and the microscope slide surface (p<0.01). In conclusion, different surface conditions and exposure time are important in UV sterilization. Further investigation is needed to improve with UV light sterilization for different microorganisms on behalf of time, surface properties and also amount of the microorganisms. For a definite suggestion further studies should be performed by changing the tested conditions. The authors would like to acknowledge the help of Prof. Dr. Atilla Aydın from Bilkent University, Faculty of Science, Department of Physics for the emission spectrum and Prof. Dr. Hamza Gamgam from Gazi University, Faculty of Science, Department of Biology, for help with the statistical analysis and Prof. Dr. Semra Kuþtimur and Dr. Ayşe Kalkancı from Gazi University, Faculty of Medicine, Department of Microbiology, for the help of obtaining the isolates. Baran, E.J., L.R. Peterson and S.M. Finegold, 1994. Methods for Testing antimicrobial Effectiveness: Bailey and Scott`s Diagnostic Microbiology. 9th Edn. Missouri Press, St. Louis, pp: 168-188. Bourrouet, A., J. Garcia, R. Mujeriego and G. Penuelas, 2001. Faecal bacteria and bacteriophage inactivation in a full-scale UV disinfection system used for wastewater reclamation. Water Sci. Technol., 43: 187-194. Favier, G.I., M.E. Escudero and M.S. Guzman, 2001. Effect of chlorine, sodium chloride, trisodium phosphate and ultraviolet radiation on the reduction of Yersinia enterocolitica and mesophilic aerobic bacteria from eggshell surface. J. Food Prot., 64: 1621-1623. Ishida, H., Y. Nahara, M. Tamamoto and T. Hamada, 1991. The fungicidal effect of ultraviolet light on impression material. J. Prosth Den., 65: 532-535. Levetidin, E., R. Shaughnessy, C.A. Rogers and R. Sheir, 2001. Effectiveness of germicidal UV radiation for reducing fungal contamination within air-handling units. Applied Eniviron. Microbiol., 67: 3712-3715. Lin, L.S. and E.R. Blatchley, 2001. UV dose distribution characterization using fractal concepts for system performance evaluation. Water Sci. Technol., 43: 181-188. NCCLS, 1996. Reference Method for Broth Dilution Antifungal Susceptibility Testing Yeast: Approved Standard. National Committee for Clinical Laboratory Standards, Wayne, Pennsylvania, USA. NCCLS, 1998. Reference Method for Broth Dilution Antifungal Susceptibility Testing of Conidium-forming Filamentous Fungi: Proposed Standard. National Committee for Clinical Laboratory Standards, Wayne, Pennsylvania, USA. Qualls, R.G. and J.D. Johnson, 1983. Bioassay and dose measurement in UV disinfection. Applied Environ. Microbiol., 45: 872-877. Rames, J., V. Chaloupecky, N. Sojkova and V. Bencko, 1997. An attempt to demonstrate the increased resistance of selected bacterial strains during repeated exposure to UV radiation at 254 nm. Cent. Eur. J. Health, 5: 30-31. Schoenen, D. and A. Kolch, 1992. Photoreactivation of E. coli depending on light intensity after UV irradiation. Zentralbl Hyg. Umweltmed., 192: 565-570. Wallbank, A.M., W. Ingridlebtag, W. Meyer and P. Boehm, 1985. Inactivation of bacteria and viruses in water: Passage of germicidal ultraviolet light through Teflon. Lab. Anim., 19: 273-274. Warriner, K., G. Rysstad, A. Murden, P. Rumsby, D. Thomas and W.M. Waites, 2000. Inactivation of Bacillus subtilis spores on aluminum and polyethylene performed cartons by UV-excimer laser irradiation. J. Food Prot., 63: 753-757. Wright, J.R., S.S. Sumner, C.R. Hackney, M.D. Pierson and B.W. Zoecklein, 2000. Efficacy of ultraviole light for reducing Escherichia coli O15:H7 in unpasteurized apple cider. J. Food Prot., 63: 563-567. Zemke, V., L. Podgorsek and D. Schoenen, 1990. Ultraviolet disinfection of drinking water 1, communication: Inactivation of E. coli and coliform bacteria. Zentralbl Hyg. Umweltmed., 190: 51-61.